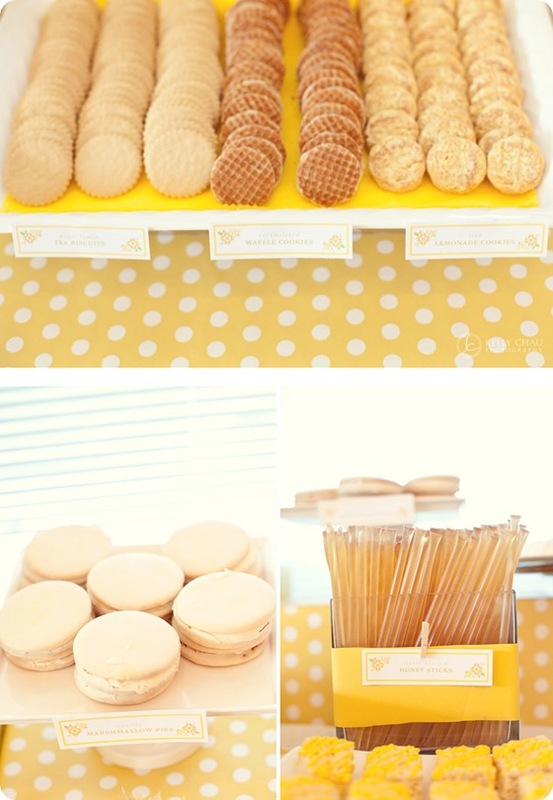 Tuesday’s Tablescape: DIY Yellow Candy & Cookie Buffet — Sweetchic Events, Inc.
Are you impressed yet?! And can you believe that nearly all of the goodies are store-bought, and a number of the platters were borrowed. Talk about resourceful! Virginia put SO much thought, time and effort into Kaelyn’s party, what a lucky baby! I forsee some awesome birthday parties in Kaelyn’s future! A super crafty way to create the levels on this table? Boxes wrapped in coordinating wrapping paper! Click here, to check out some amazing shots from Kaelyn’s photo session, again by Kelly Chau!